Hundreds of West African migrants who had been stranded in Libya are returning home as worried governments repatriate them amid outrage over slave auctions. 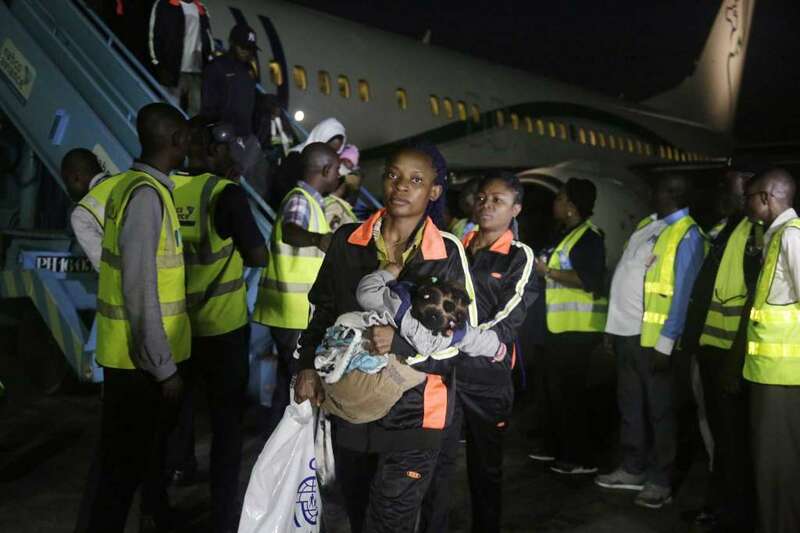 Another 164 migrants returned to Nigeria early Friday, the latest group to be repatriated with help from the European Union and the International Organization for Migration. The African Union aims to return 20,000 migrants from Libya over the next six weeks after international condemnation of slave auctions in Libya revealed by recent CNN footage. The U.N. migration agency says the first 504 migrants from Niger, including children, returned home Wednesday, part of an expected mass voluntary evacuation of 3,850 over the coming days. The agency also says a flight with 167 migrants returned to Guinea on Thursday. Some reported beatings while in detention centers in Libya.